Admit it. You’ve thought about it. You’ve thought about creating a multi-million dollar business. The thought of being your own boss and raking in the money is intoxicating. Maybe you even had a few good ideas of your own. Okay, maybe it’s not that easy. Let me fill in the blanks. I’ve been in the tech startup and online business space for over nine years. I failed my first startup too. My biggest mistake was making elaborate plans, but rarely pulling the trigger. You can take courses, listen to podcasts, and read epic content on how to start a business. However, after you’ve done that for a week maximum, try something. Try it and tweak it. Write down your findings. Try something else, and tweak that. Use the scientific method. Don’t philosophize or copy-cat other online business people. You’ll never know what works for you and your target market until you test it and retest it. This is an ongoing process full of micro-failures. It takes thick skin to be an entrepreneur. With building a business, sometimes you have to focus on the really boring stuff. This brings me to the second biggest mistake I see with people who do business online: marketing. Everyone wants to get to the fun stuff first and start marketing out of the gate. Suddenly they need a logo and website. They need great copywriting and a clever sales funnel. Oh wait, now they need to take a course on email auto-responders or content marketing. All of that is delaying the inevitable: Market Demand. Let me tell you something about the market, your future consumers. It doesn’t care about you, your website, your logo, your freebies, or your blog posts. The market only cares about itself. Provide value to the market that is in-demand, different, and lucrative. If you got that (which you find out through tests and research), then start thinking about marketing. Don’t actually do anything about it. Instead, try to sell more of what you’re testing out. 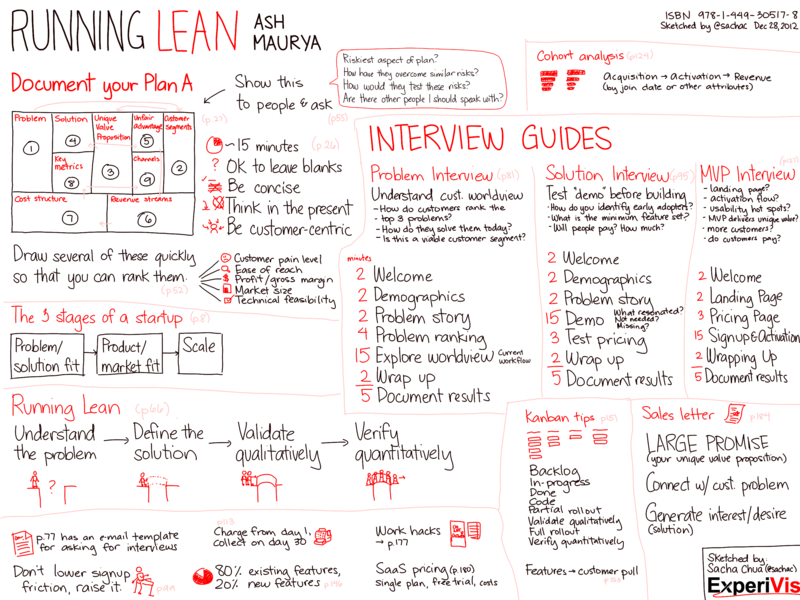 Interview more target buyers and co-create something truly valuable. There are many things you can do besides marketing that matter more. I know businesses that started with just a Facebook Page or a blog on Medium. If you came across some amazing wisdom about life that shook your soul to the core, would it matter if it was barely legible because it was written on an ancient wall of a cave? Of course it wouldn’t. The platform can always be improved. It’s the value (i.e, wisdom in this case) that really matters. That’s what marketing is to a startup. You’ve got plenty of ways to pretty it up later with whiz-bang marketing tools. First, create real value. People won’t care that it’s not polished. The #1 way people fail their business is that they start making things people don’t want. However, there are so many other ways to fail your business even if you do have market validation. 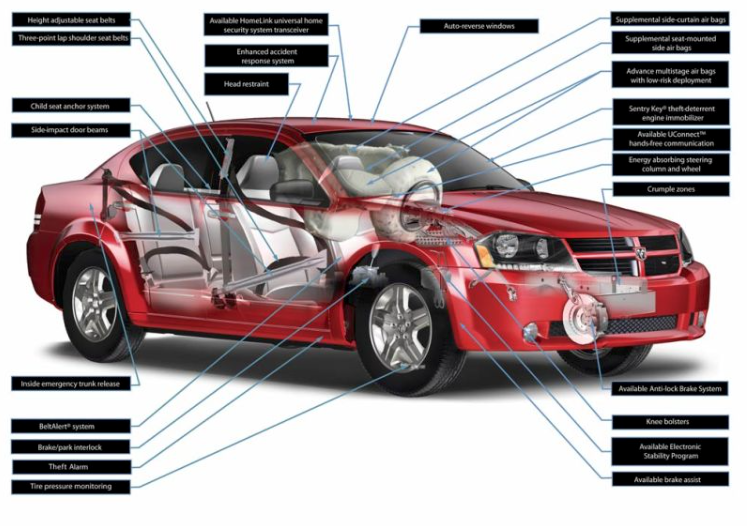 What other business components do you have to nail? Because I’ve been a business adjunct for many years, I went through all the exciting and boring stuff about startups. I even contributed to a best-selling book on web platforms. One of the things you’ll encounter in my space is people talking about business models. I’m not talking about 20+ page business plans (boring!). I’m talking about their replacement, the one-page business model (boring at times, but not near as exciting as marketing). After studying dozens of master templates, I never found one that would satisfy my students and clients. They all had gaps. Of course, the model is just one of several components that make a business work. The right people (“team dna” as Sequoia Capital puts it), opportunity, and a dozen other things all need to line up. However, a working business model is a major component. When starting a company, it’s easy to get inspired from the latest magazine articles, videos, or podcasts highlighting billion-dollar exits. If most businesses fail, then what you’re hearing about are the positive outliers. But who wants to hear about the 80%+ of the companies that burned through all their money and left them penniless? In addition to learning about all the things that makes a company succeed, we also need to learn about the common ways companies fail — and do everything in our power to avoid those traps. One of those traps is failing to create (and keep recreating) a good business model. In my experience, people that ignore business models fail their companies in record time. The problem is, it’s hard to find one that addresses all your needs. So by experiencing this problem first-hand with countless clients, I created my own. It’s not as pretty as the others — it could easily be sketched on the inside of an ancient cave. It blew my mind how some business models (also known as business model canvases) were making people fulfill components that didn’t even matter in the early stages of business. I know that this is a minority opinion about the famous Business Model Canvas enterprise. Don’t get me wrong, it’s very smart and I’m incredibly grateful for the movement it started. However, year after year countless students and clients fail to make the pieces work. It’s more than a people problem. Part of this failure is in the selection of the business components. Most canvases have you think about Key Partners for your business. In reality, without business validation most partners would laugh you out of their office. Also, where is the lead generation or marketing component? 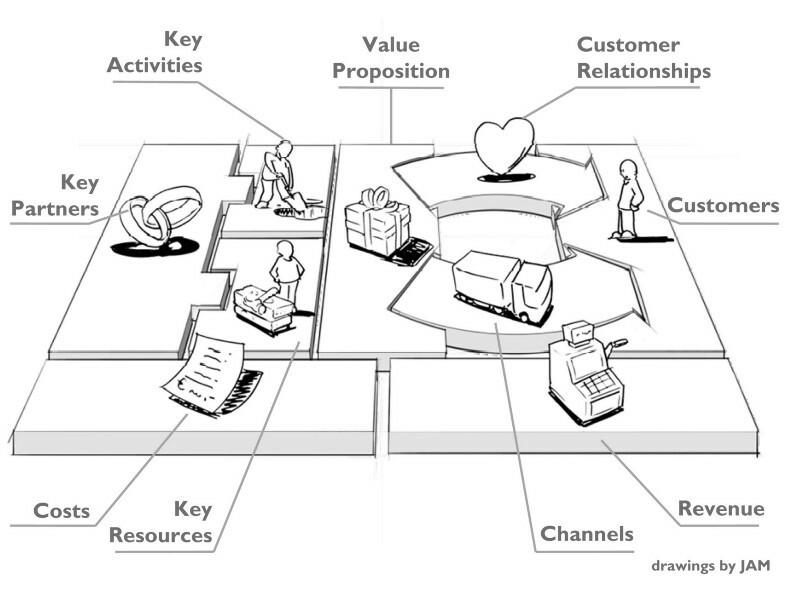 Is that clearly depicted in all these popular business model canvases? My students were stumped too. Just try and find it in the image below. In my startup labs, workshops, and courses I stumbled upon a common mistake. People are obsessed with pivoting their business. That is, if they’re not making big changes to the business model — a pivot — they are not improving. A pivot, like focusing on women instead of men with their products, is significant. Data and tests will tell you if that’s the right pivot. However, as Tim Ferriss has said in his talk with the legendary venture capitalist Marc Andreesen, just because you’re not pivoting doesn’t mean you’re not learning. Sometimes you just have to wait things out instead of giving up so easily. Sometimes you have to tweak the secondary elements and not the primary element. I’ve seen people pivot their way out of a decent business concept, only to see someone else succeed at creating the same business later. There is no shame in quitting to execute on a better idea. That’s just optimal time management and resource allocation in my book. And in regard to pivoting, the market will tell you when that’s necessary. It rarely needs to be forced. Some lucky companies only pivot once! Sequence is also very important. You must start with the critical components. If you don’t nail those items, nothing else will matter. There’s no need to waste time with the other components. Zig-zagging your way through the BMC and thinking about money last. [?!] See failure reason #2 and #5. While value creation is an important first step, the market is more important. You’re creating value for people, a market. The question is, who do you want to serve and what do they need? I’m a big fan of the Start With Who tribe (which is pretty much just me and my assistants). My Start With Why (Simon Sinek) comes much later because it’s a lot like passion. Sometimes it all comes to me after I’ve realized I could genuinely solve a problem for people. As MIT’s Cal Newport and Stanford’s Tina Seelig imply, passion is romanticized in business. It’s made out to be the single biggest factor in your success. Why do you do what you do? Because you’re passionate about XYZ, right? Does the market care about that? The science clearly shows that in business the market matters more than we’d like to admit. Take another look at that graph on why businesses fail. Passion is way down the list, #14 in this study. My why is so broad in the early phase of business creation — and almost always generically altruistic — it’s not really helpful. Most people like me want to create something meaningful. I know why I get up in the morning! Your real first job is to find out what pains your target market is having that are not filled by anyone else. Begin with observing an industry or market you want to address. That way you get a head start on the founder/business fit problem. In fact, you don’t even need a business idea (and often your ideas are not what the market even needs). Remember my advice about the market? That’s where you start since it’s the #1 reason why businesses fail. Don’t make what you want unless it coincides with what the market is screaming for you to make. Again, the market only cares about itself. So here you go, all the right questions (IMHO) in the right sequence. Below is my BMW — Business Model Worksheet. BMW | Download this for free – Click on image or go to https://arliepeyton.com/bmw. There is a whole class, massive training, lots of research, and tons of business hypothesis testing to be done. This model is not The Answer or The Solution for business. 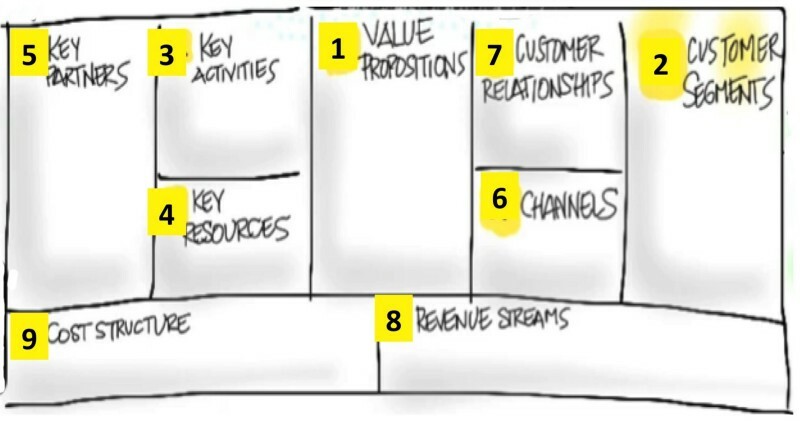 Like the revolutionary Business Model Canvas, there’s definitely room for improvement. It’s one of several pieces you need to get right to create a lucrative business. But so far, it has worked for thousands of my students and clients.